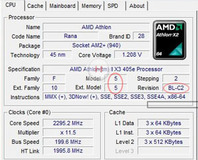 We take a look at the few scarce details just emerged of what DDR4 might come to offer. 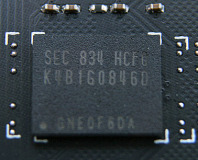 1.35V DDR3 memory: how much power does it save? Oops! 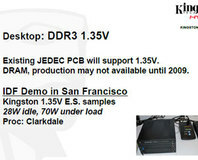 Kingston leaks that a recent demo at IDF ran the Clarksdale CPU with DDR3 at just 1.35V to achieve its low wattage. 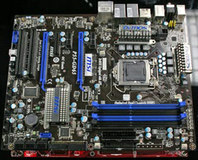 MSI's P55 motherboards have a "V-Kit"
MSI has a new feature on its upcoming P55 boards: the V-Kit allows the end user to check the real voltages while the board is running. 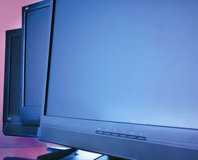 LCD monitor manufacturers have constantly pushed response times down with overdrive technology, which increases the voltage to force the liquid crystals to change colour states faster. Sadly, there are some side effects associated with this - we explain the cause and detail how to spot the problems yourself. Antec's Signature is its definitive power supply, built on a idea of quality it's not cheap but it sports an 80 Plus Bronze efficiency, a semi-modular design and "hand certification." Are these the ingredients required to earn the bit-tech stamp of approval? Asetek has announced its all new WaterChill Xternal water cooling system. It features a software based control panel, allowing users to control the unit from the Windows desktop. CeBIT 2006: Foxconn has reworked the circuitry that regulates the voltage supplied to the CPU - they're now using a digital PWM that is said to be more efficient, produce less heat and provide a cleaner current to the processor. 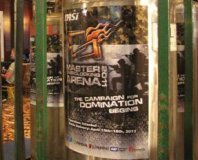 CES 2006: the MSI Geminium-Go! 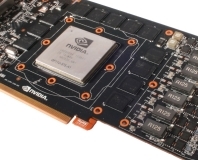 features two Go6600 MXM cards on one desktop PCI-E board in SLI. Even crazier is the idea that SLI is coming to a notebook near you. In the first part of our new series, we take you through the basics of electronics, starting the building block of PCs - electricity. We look at the basic formulae that govern voltage, current and resistence, and introduce you to our first project.